Driving while under the influence of drugs is extremely dangerous and never accept a lift from someone who has taken drugs. If you get behind the wheel of a car suffering from these conditions you are increasing your chance of causing a crash. Putting yourself and other road users in danger. Driving while the effect of the drugs wear off will also affects concentration as you may feel fatigued. Did you know that some legal medications might affect your ability to drive safely? Unable to concentrate or make decisions. Or if you have blurred or double vision. Check with your doctor or pharmacy team if you think you are affected. 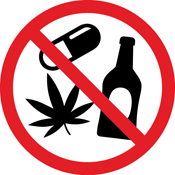 A new zero tolerance drug drive law came into effect on the 2 March 2015. 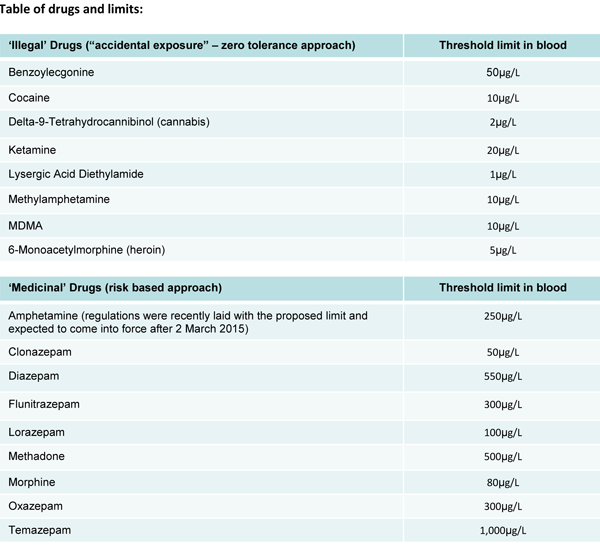 It is now an offence to drive with certain drugs above a specified level in your blood. Just as it is with drink driving. Sixteen legal and illegal drugs are covered by the law including cannabis, cocaine, ecstasy and ketamine. The limits for all illegal drugs are extremely low. Taking even a very small amount of an illegal drug could put you over the limit. If the police stop you and think you’re on drugs they will test you for Drugs at the roadside. This will be by a drug screening device or a ‘Field Impairment’ test to assess your ability to drive. If drugs are detected in your system or you are deemed impaired by drugs, you’ll be arrested and taken to a police station for blood or urine tests. If the tests show you've taken drugs or show a specified drug above the specified blood limits you could be charged with drug driving. You don't have to be on illegal drugs to be impaired to drive, prescription or over-the-counter medicines can also impair your ability to drive. If you’re taking medicines, talk to your doctor, pharmacist or healthcare professional before driving.